Is it discriminatory for a fixed term worker to receive less compensation on the expiry of his or her contract than a worker (whether fixed term or permanent) who is dismissed? This is the question considered by the Court of Justice of the EU’s Advocate General Kokott in two opinions relating to the interpretation of Directive 1999/70/EC concerning the framework agreement on fixed-term work (‘the Directive'). The Directive establishes a legal framework for ensuring equal treatment between fixed term workers and comparable permanent workers. In particular, clause 4(1) of the framework agreement annexed to the Directive provides that fixed term workers must not be treated less favourably in relation to their conditions of employment than comparable workers, unless a difference in treatment is justified on objective grounds. Under the Spanish legislation at issue in these proceedings, the amount of compensation payable on the termination of employment depends on how the employment relationship comes to an end. Under Spanish law, a fixed term employee whose employment ends following the expiry of his or her contract is entitled to a lower amount of compensation than a worker (whether permanent or fixed term) who is dismissed on objective grounds. Further, where a worker is employed on a fixed term basis to cover a post temporarily pending the completion of a recruitment process with a view to permanently filling the post, the fixed term worker is not entitled to any compensation on the expiry of his or her contract. The two preliminary references considered by the Advocate General have been made in the context of proceedings between fixed term workers and their employers before the Spanish courts (C-574/16 Grupo Norte Facility SA and C-677/16 Montero Mateos). In Grupo Norte Facility SA, the fixed term worker concerned, Mr Gómez, was employed as a hospital cleaner on a ‘relief contract’. Following the partial retirement of Mr Gómez's mother, resulting in a reduction in her working hours, Mr Gómez was contracted on a fixed-term basis to cover the balance of her hours. The fixed term contract expired when Mr Gómez's mother's contract terminated due to retirement. Mr Gómez argued before the Spanish courts that he was entitled to be employed on a contract of indefinite duration by virtue of custom and practice. In Montero Mateos the worker concerned was employed as a cafeteria assistant on a fixed term basis. Ms Montero Mateos was employed on a ‘temporary placement contract’ to fill a position temporarily pending the conclusion of the process for making a permanent appointment to the position. Another worker was appointed to the permanent position, and as a result Ms Montero Mateos' fixed term contract expired. Ms Montero Mateos initiated proceedings before the Spanish courts in relation to the termination of her fixed term contract. The Spanish courts hearing these cases referred questions for a preliminary ruling to the Court of Justice of the EU as to whether it amounts to discrimination for the purposes of the Directive for a fixed term worker to be paid a lower amount of compensation (or indeed no compensation) on the expiry of his or her fixed term contract than a worker who is dismissed by his or her employer on objective grounds. In any event, the differences in treatment are capable of being objectively justified by reference to social policy objectives including the need to make it easier for jobseekers to be integrated into the employment market, and the need to ensure that the financing of social security schemes is placed on a firm footing. 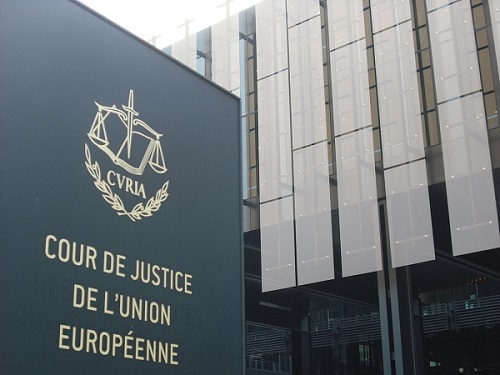 The Advocate General has therefore proposed that the Court of Justice of the EU answer the requests for preliminary rulings to the effect that clause 4(1) of the framework agreement annexed to the Directive must be interpreted as meaning that it does not amount to discrimination for a fixed term worker to be paid a lower amount of compensation on the expiry of his or her contract than a worker (whether fixed term or permanent) who has been dismissed on objective grounds. At a time when an increasing number of workers are subject to precarious employment relationships, the political and social importance of this issue should not be underestimated. The present case illustrates the tension experienced by national legislatures when they adopt rules on the protection of fixed-term workers, but also wish to take account of the particular features of different kinds of employment contracts and to allow a certain degree of flexibility in the market. The Irish legislature, in implementing the Directive, has provided for a difference in treatment with respect to the termination of the employment of fixed term workers, by excluding them from the protections of the Unfair Dismissals Acts 1977 to 2015, in circumstances where the dismissal consists only of the expiry of the term without its being renewed and the contract makes provision in this regard. It might be argued however that the Spanish legislation at issue in these cases is more closely analogous to the payments made under the Redundancy Payments Acts 1967 to 2014, in that it relates to dismissal on 'objective grounds' such as economic conditions and a reduction in the workforce. It is well established that the expiry of a fixed term contract may amount to a dismissal by reason of redundancy for the purpose of the Redundancy Payments Acts. If the expiry of the fixed term contract is attributable to redundancy within the meaning of the Redundancy Payments Acts, a fixed term worker will be entitled to a statutory redundancy payment provided they have the requisite two continuous years of insurable employment. Further, a fixed term worker may be entitled to equal treatment with comparable permanent employees in relation to the payment of any ex gratia sum (unless the difference in treatment is objectively justified), as this falls within the scope of the principle of non-discrimination with respect to conditions of employment. It remains to be seen whether the Court of Justice of the EU will follow the Advocate General’s approach and whether its judgments will have any implications for the interpretation and application of the Protection of Employees (Fixed-Term Work) Act 2003. For more information, please contact Aoife Bradley of our Employment, Pensions & Employee Benefits Department. This article first appeared in Legal Island.